The Winter Sale is now on! Order now with code WINTER19 to claim your special offer. 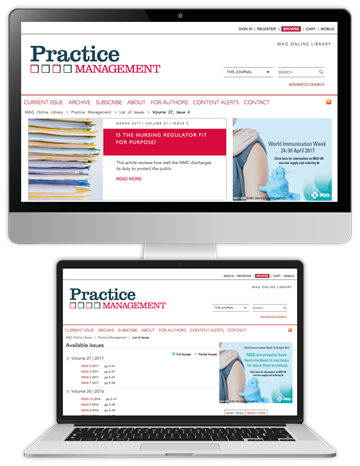 Practice Management is dedicated to promoting excellence in general practice and primary care settings. 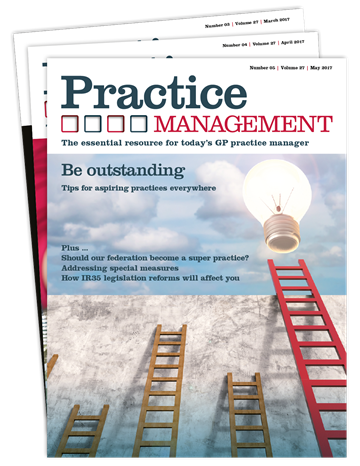 We believe that practice managers play a crucial role in the delivery of high-quality primary care and improving outcomes for patients. 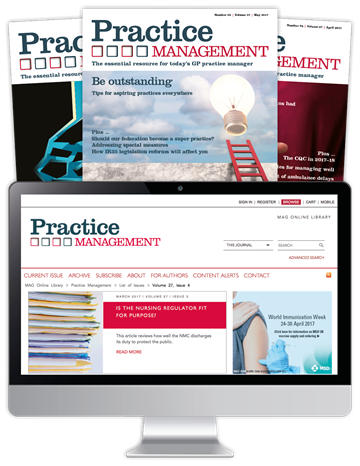 The magazine aims to support practice managers in their work by ensuring that they have access to the latest professional analysis and advice. To claim your 15% discount, simply select your subscription option below, and quote code WINTER19 when prompted. This once-a year offer ends on 15th February (11:59PM GMT).